Here’s my interview with Green Book director of photography Sean Porter (Green Room, 20th Century Women) from Filmmaker Magazine. This is actually my 100th interview piece for Filmmaker – all of which you can find here. 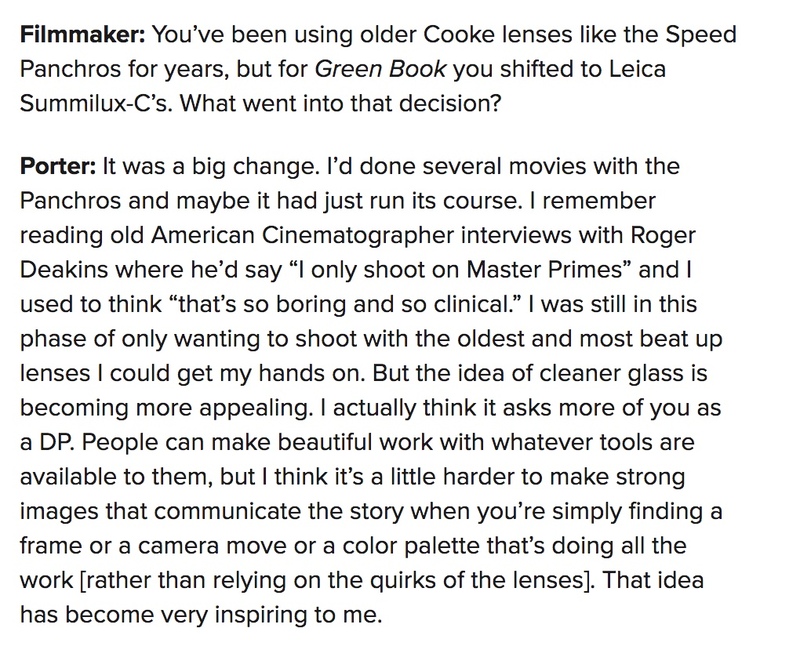 As for the Porter piece, here’s a little preview with Sean talking about his shift from old Cooke lenses to newer Leica glass.